We are a residential and commercial painting and remodeling company providing the finest interior and exterior painting services. Fair pricing, professionalism and a commitment to excellence is my promise to you. Best Houston Painting (BHP) provides high quality residential and commercial painting services such as interior painting, exterior painting, commercial painting, remodeling, and repairs. We offer state of the art professional services, highly skilled and experienced painters, attention to detail, and excellent customer service at an unbeatable price. 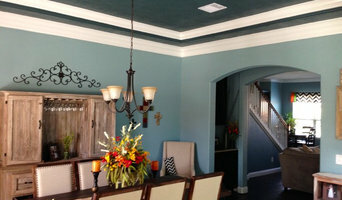 Best Houston Painting & Remodeling is proud to be a family-owned business. We started out painting for one of the biggest painting companies in Houston. After much success and innovation, we decided to open up our own company and offer high quality residential and commercial painting services at an unbeatable price. All of our painters are professionally trained, have high attention to detail and share a passion for painting. The painters at BHP have the skill and expertise to provide you with the right interior and exterior painting solutions for your home or office. You spend a great deal of time in your home, and a high-quality interior paint job can contribute to a bright and vibrant atmosphere. Whether you want to freshen up a room with a fresh coat of paint or re-paint the entire interior of your home, the painting contractors at BHP will deliver outstanding results and get the job done on time. John McDonald Painting is a name that has become synonymous with quality craftsmanship for a variety of important painting related services. They service both residential and commercial clients, in and around the Houston area. They are a family owned and operated business, dedicated to providing service excellence for tasks like metal roof painting, fence painting, power washing and, of course, interior and exterior painting. Providing top-quality workmanship, competitive prices, and dependability for residential and commercial customers. Our ultimate goal is customer satisfaction, and to ensure this we work hard at understanding our customers’ needs, treating every job with professionalism, and superior attention to detail. We will earn your confidence in our company through our dedication, ultimately proving that you are our number one priority. 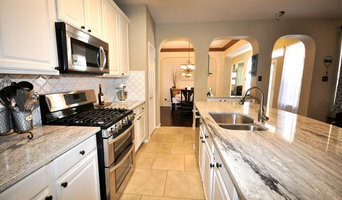 We at C&K Painting & Remodeling have been serving the greater Clear Lake area since 1990. As our success continues, so does our growth. Our family business has grown our service area as well, as we now serve an area that encompasses all of Galveston County and as far north as Kingwood, TX. 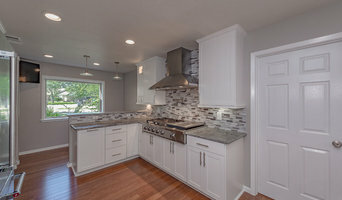 Since 1987, UNION CONSTRUCTION has provided high quality, comprehensive new construction and remodeling services to the public, developer, and private investor in Houston, Texas and surrounding areas. Our customers are our partners...from the initial planning stages to long after the completion of a project. Focusing on the priorities and budget considerations of our clients, our goal is to solidify long term relationships through superior performance. We have been in business for over 10 years with 100% positive feedback on home advisors, angieslist, yelp yp, and many other sites. I also have photographs, letter of recommendations and . We are a proven reputable company, we can also provide multiple referrals. We specialized in Disaster recovery with certifications for Mold remediation, Asbestos Remediation, Lead Remediation, from NORMI and are certified with OSHA and FEMA. we are a full service company with several crews that work hard, fast, safe, and very reasonable prices. We also guarantee our work. That means if you are unhappy for any reason we will work to fix it to your satisfaction, even if we have to start from the beginning. Customer satisfaction is our NUMBER 1 goal. We also have worked with local, state, and federal governments. So your project size does not matter. I work with anyone who needs a 100 dollar project all the way up to a 10,000,000 million dollar project. No matter hoe small or big your project is, you will have the same satisfaction guarantee. We also have fast turn around times. Call us at 504-616-6084 and you will get your own dedicated service representative working along side you from the start of your project to the completion of your project!